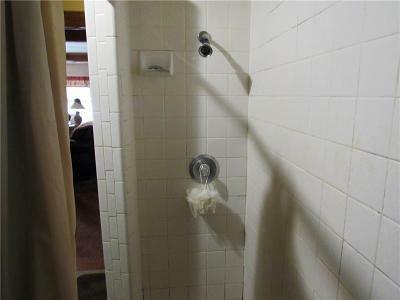 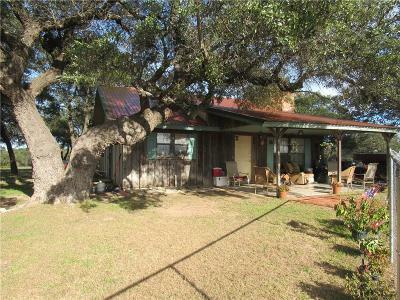 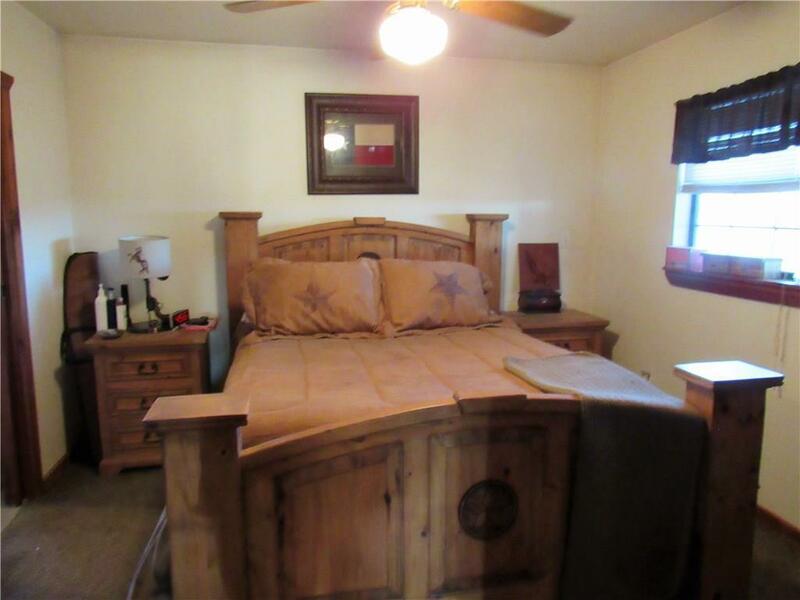 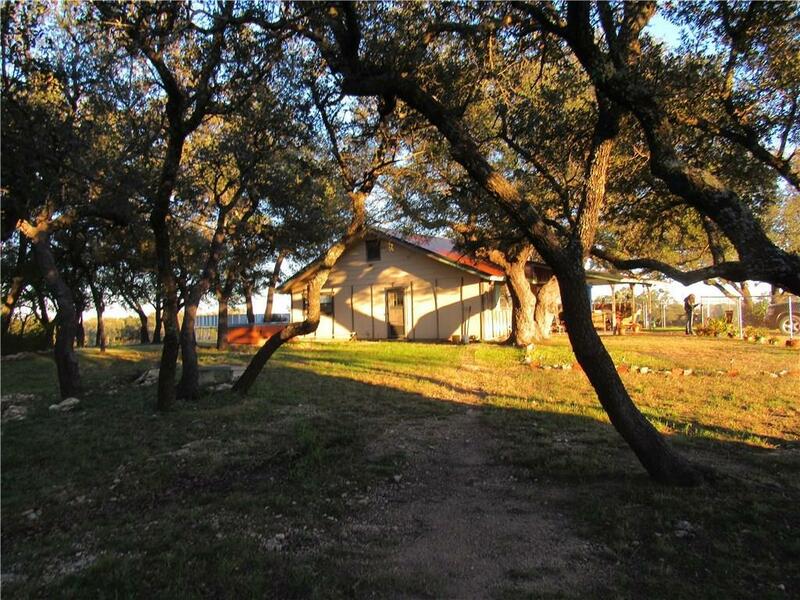 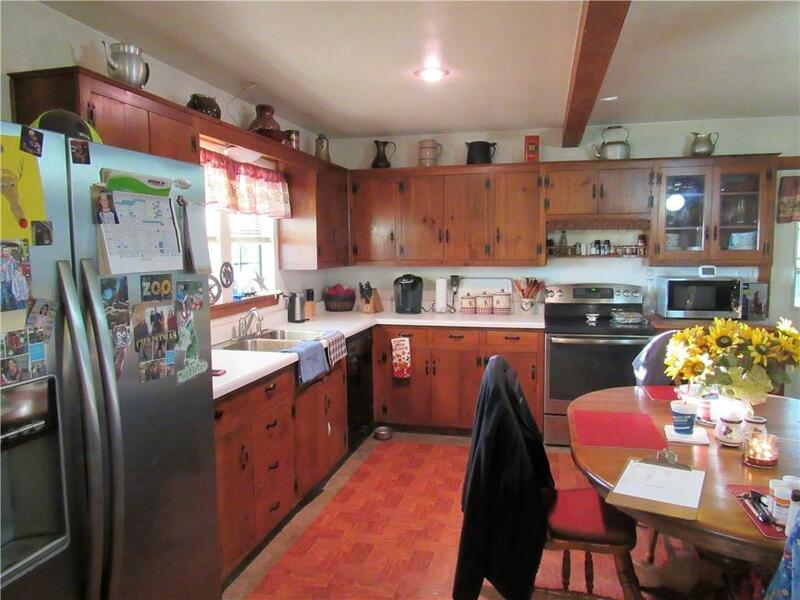 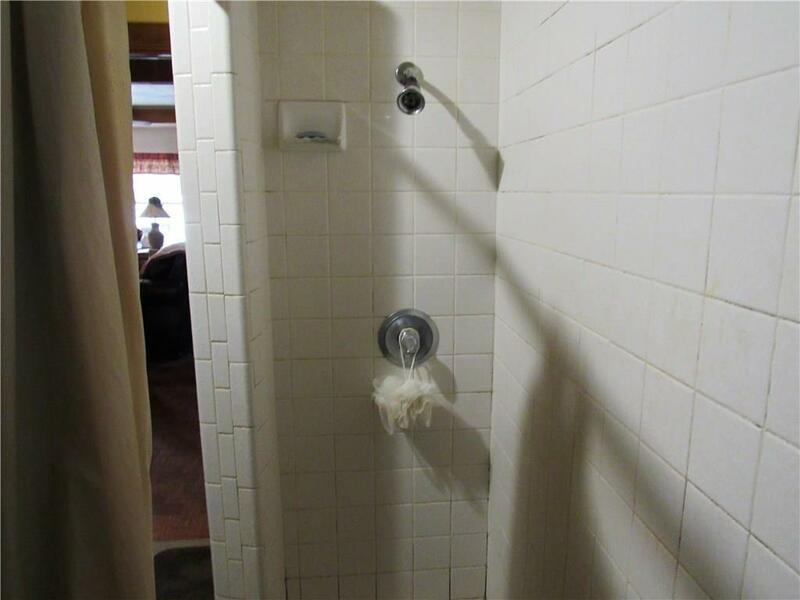 Secluded 2BR, 1.5BA house surrounded by mature live oaks. Large open concept, living- dining - kitchen with fireplace. 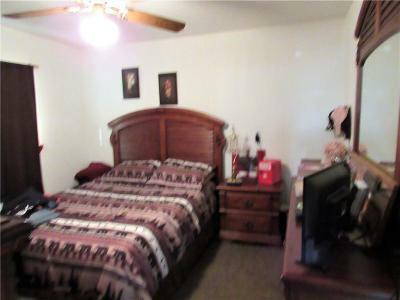 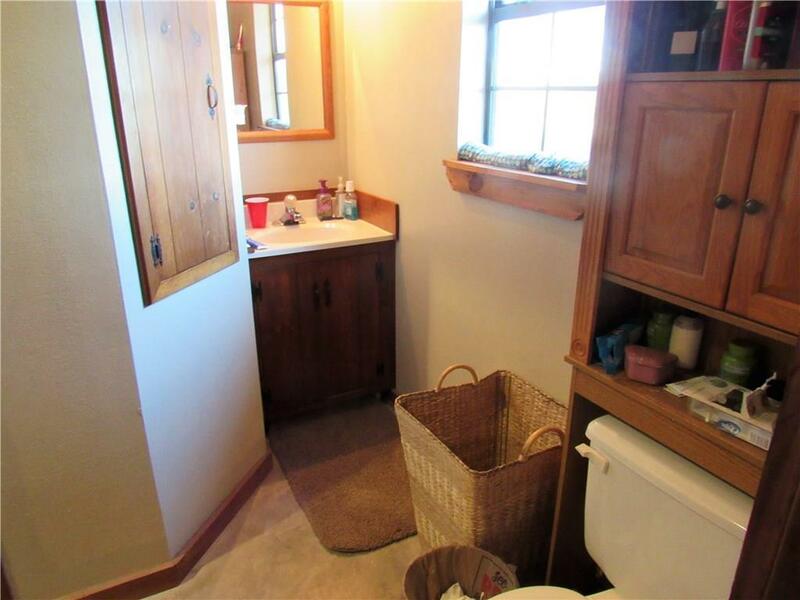 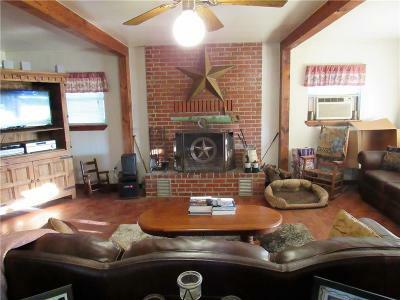 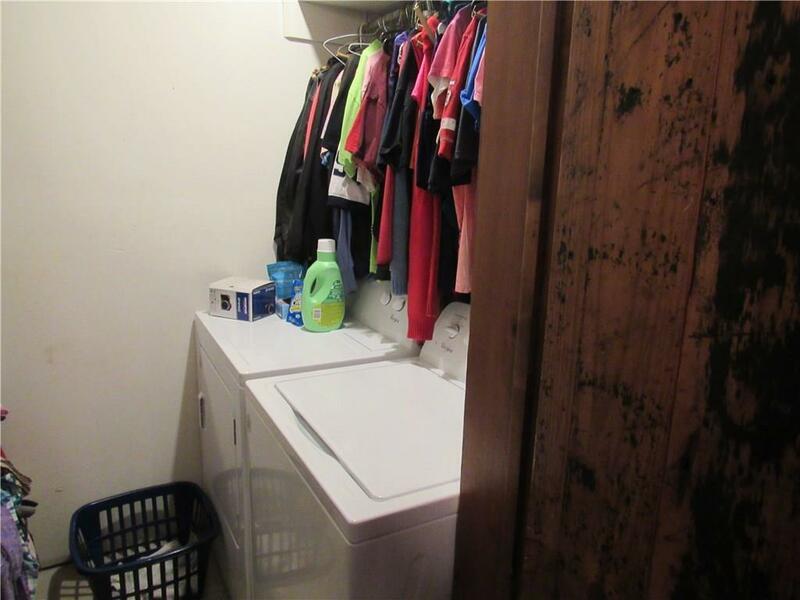 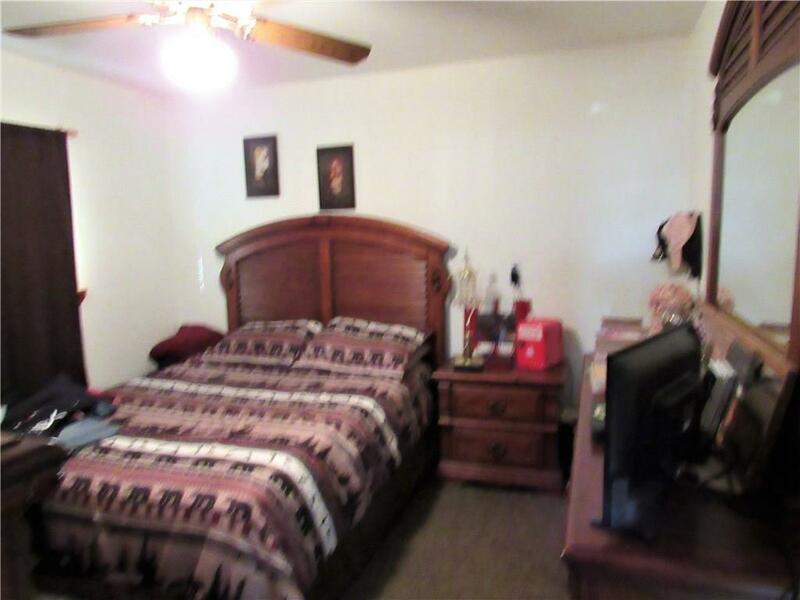 House is ducted for central heat and air, but has 2 window AC units., fireplace and baseboard heaters. 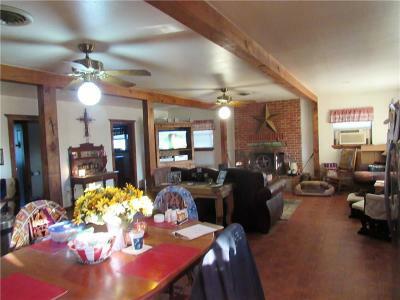 Front of house is rustic wood and other sides are hardiboard. 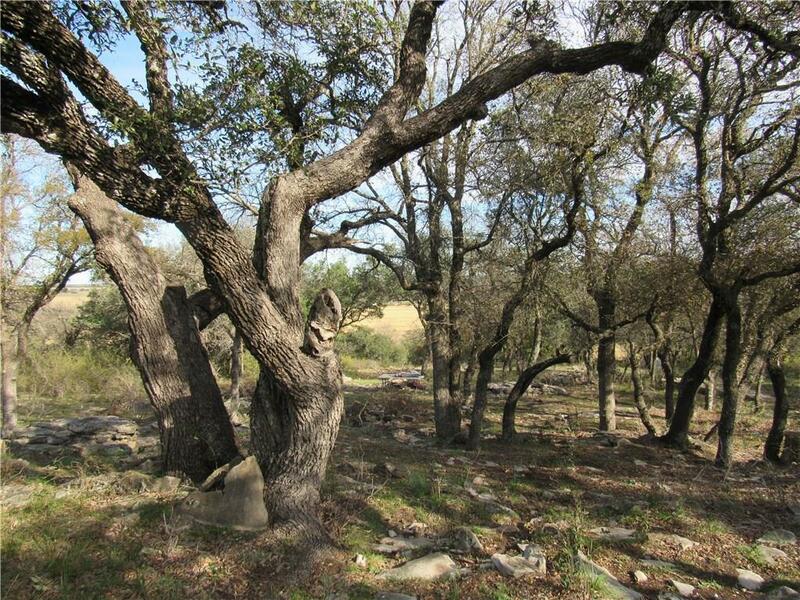 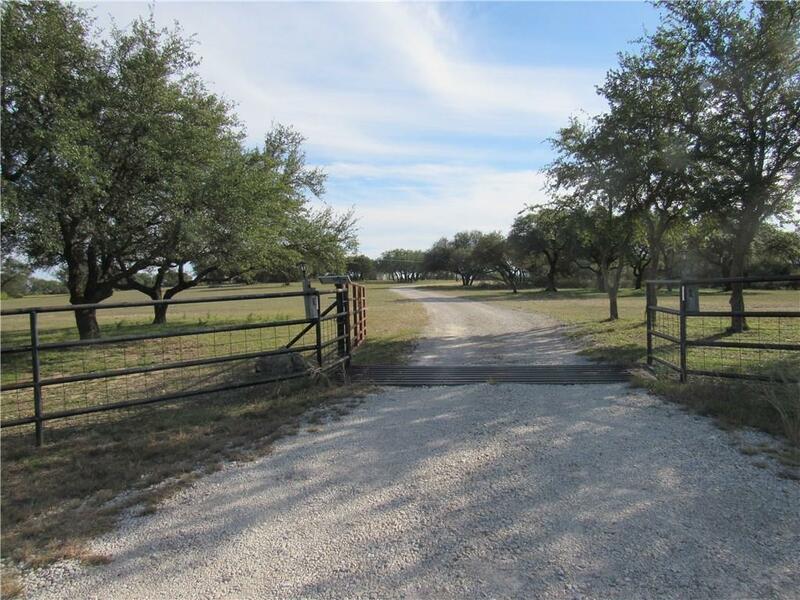 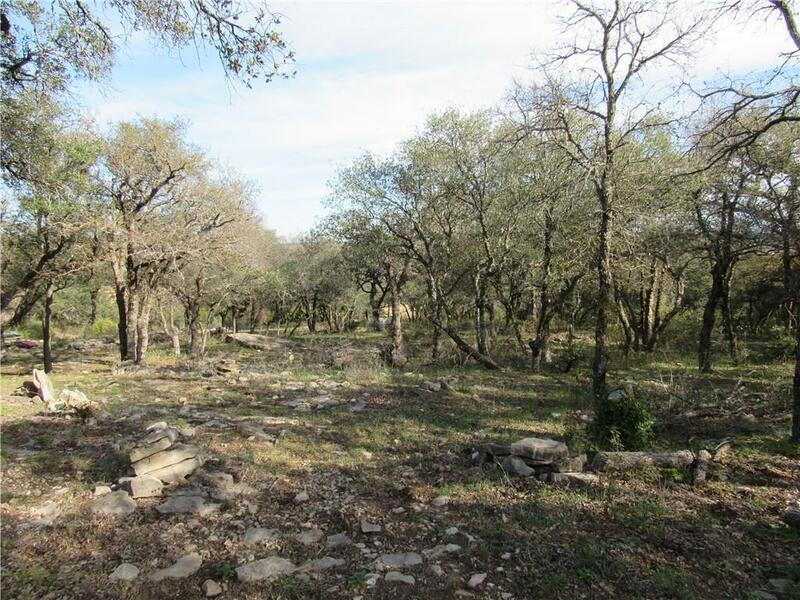 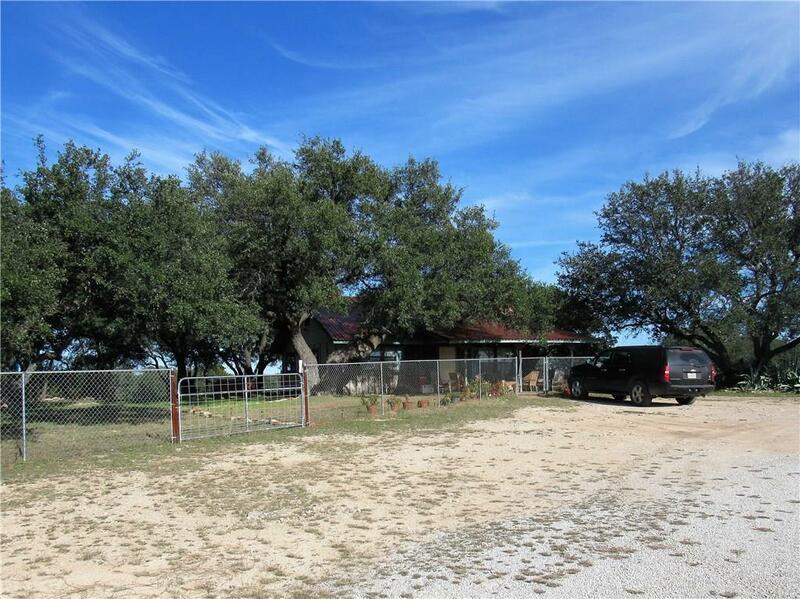 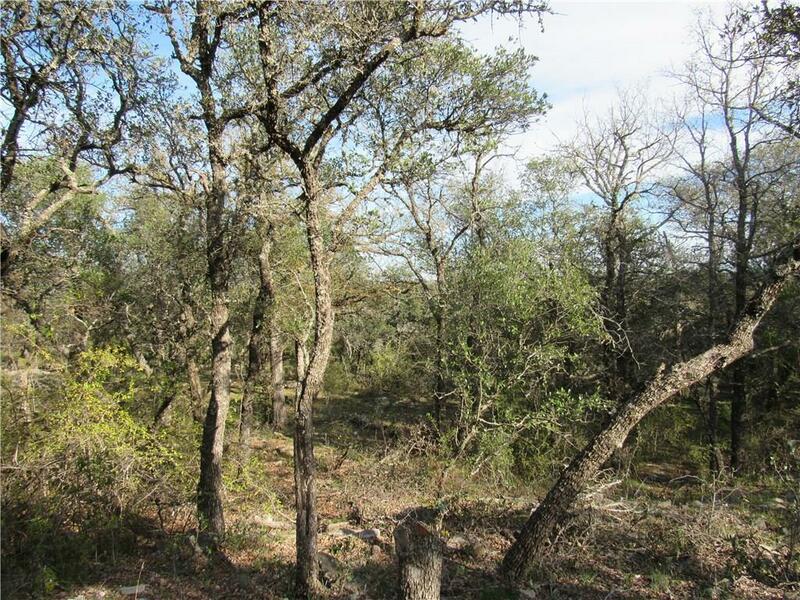 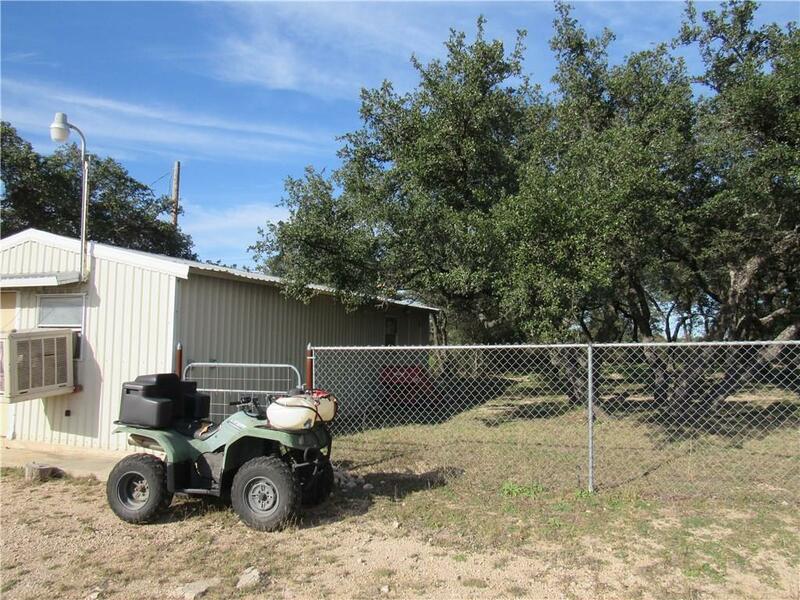 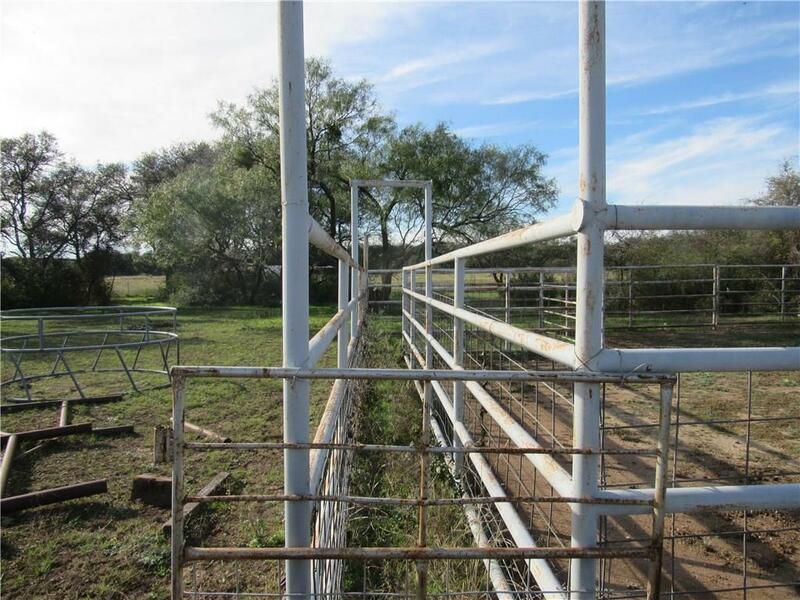 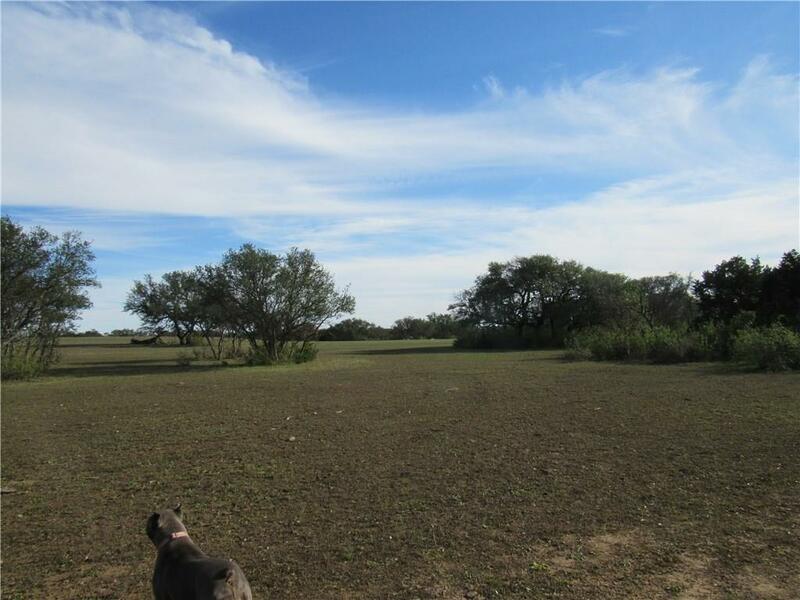 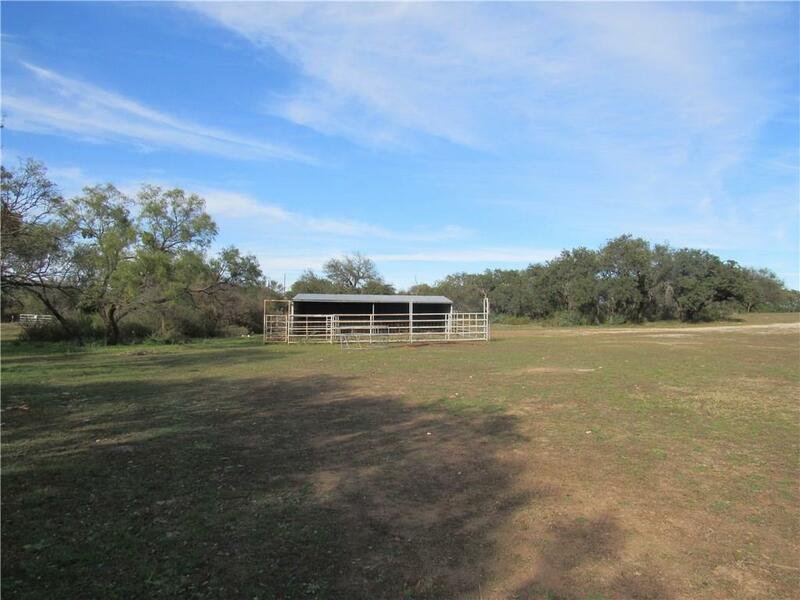 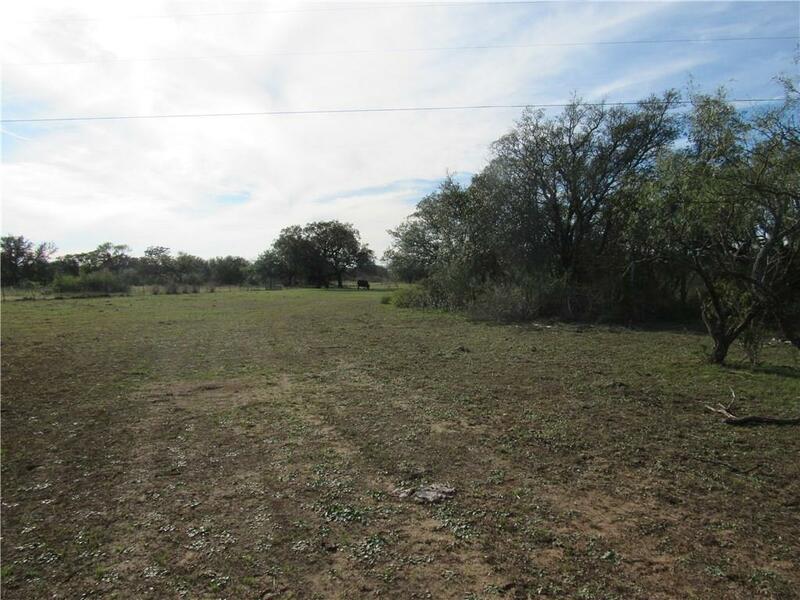 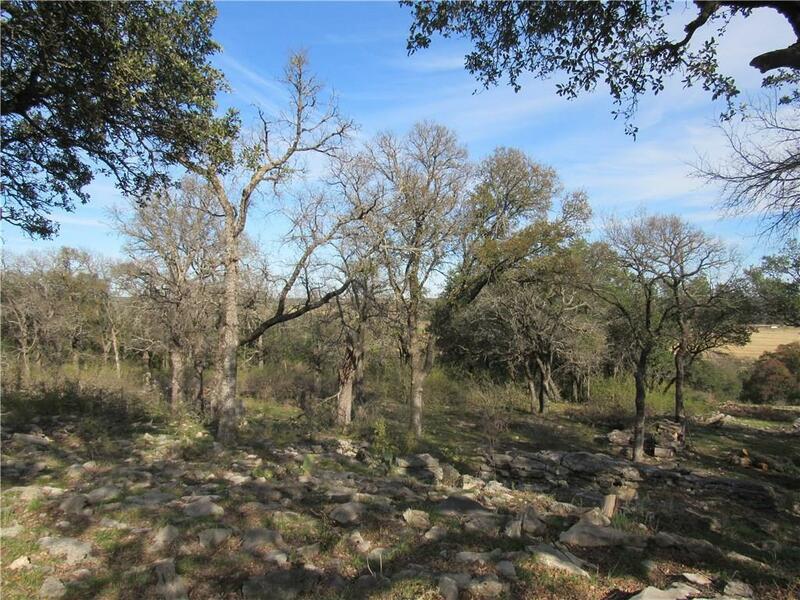 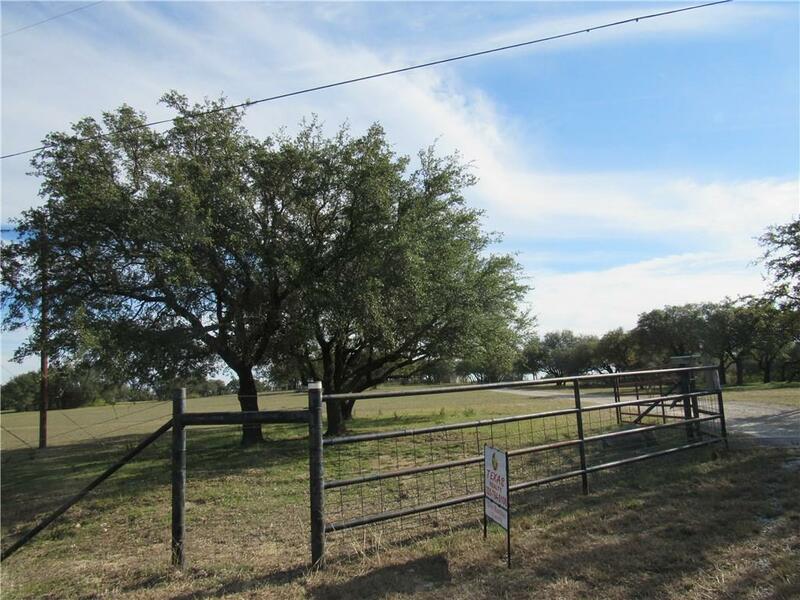 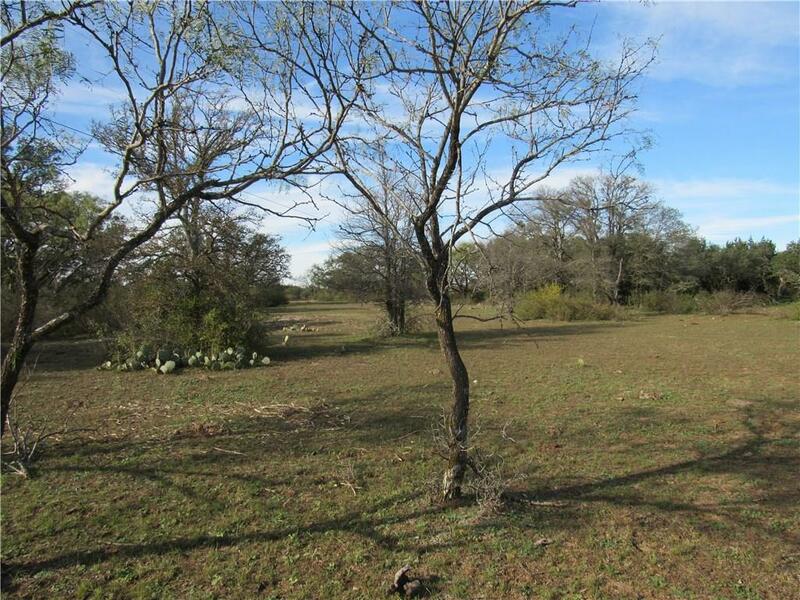 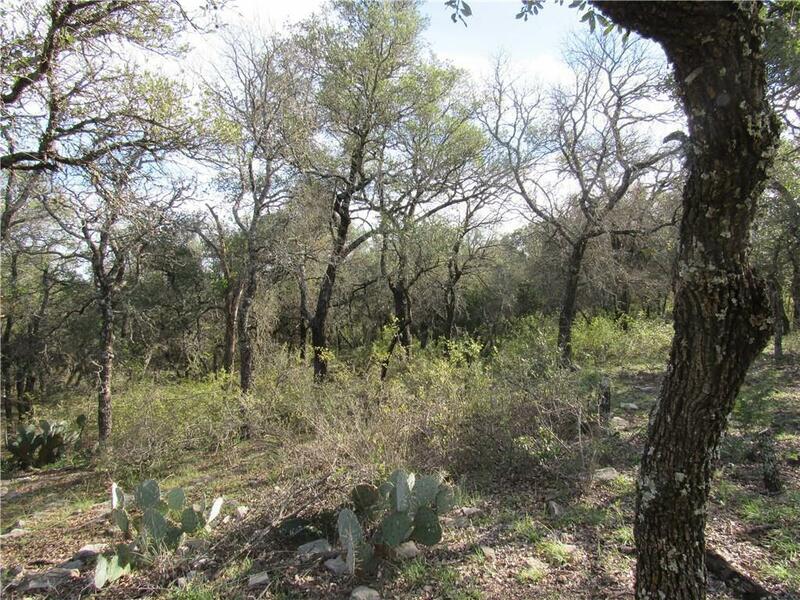 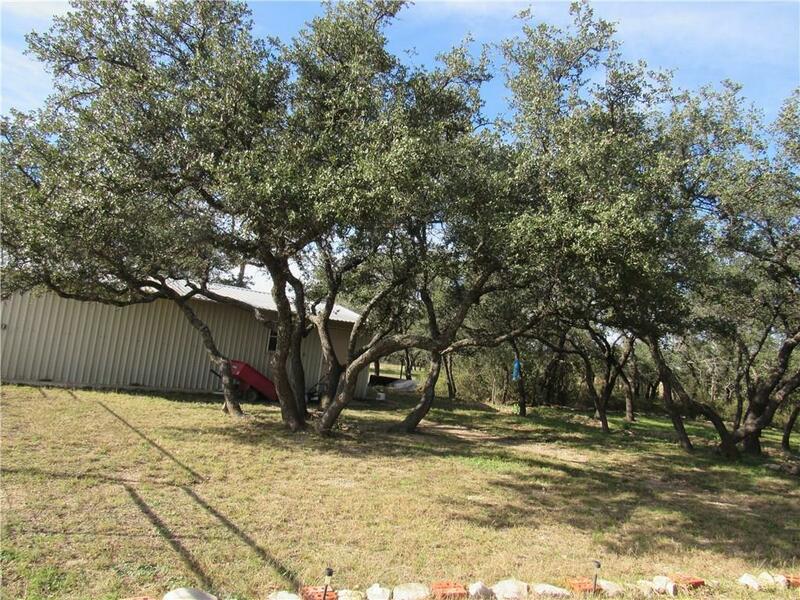 Acreage has hundreds of oak trees with few elm and mesquite Lots of habitat for deer and other wild life. 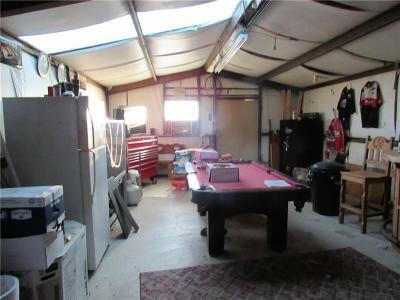 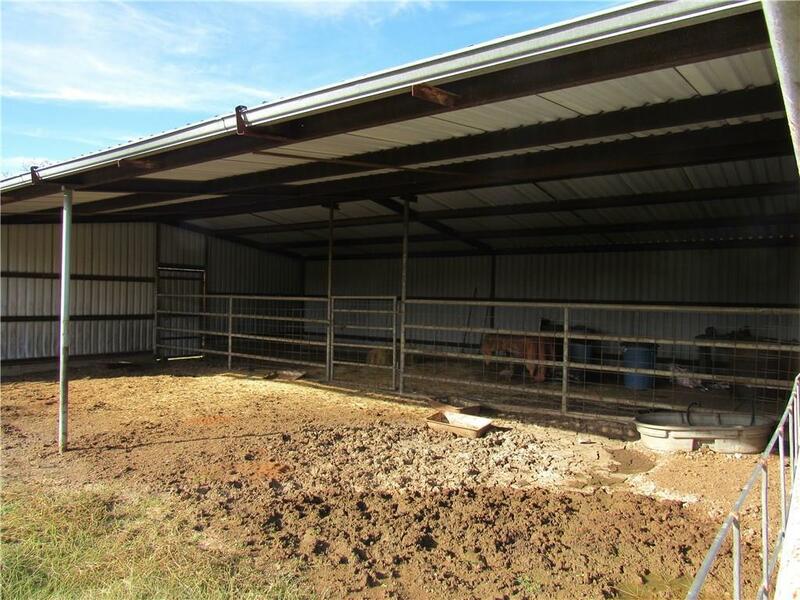 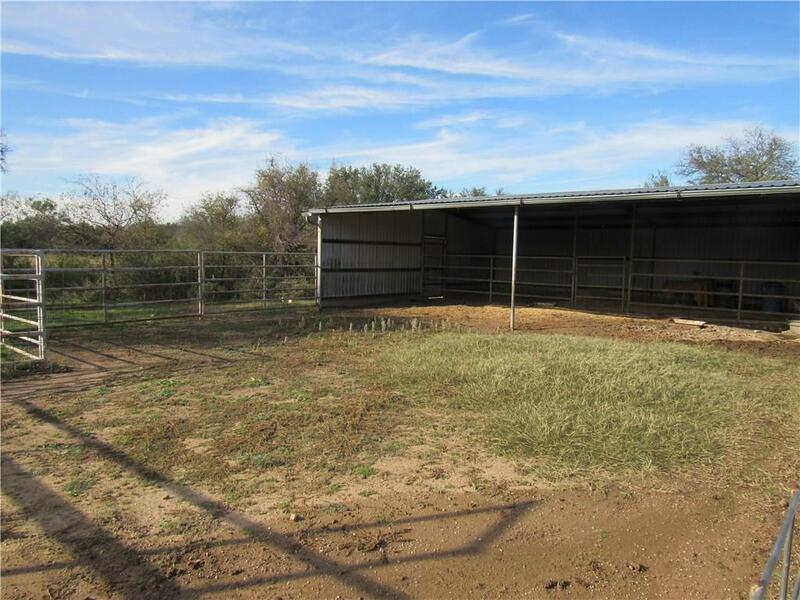 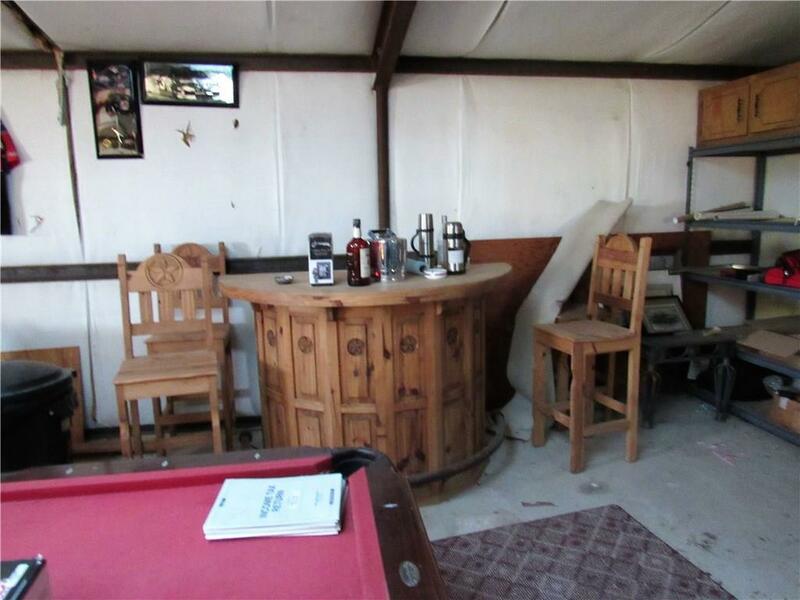 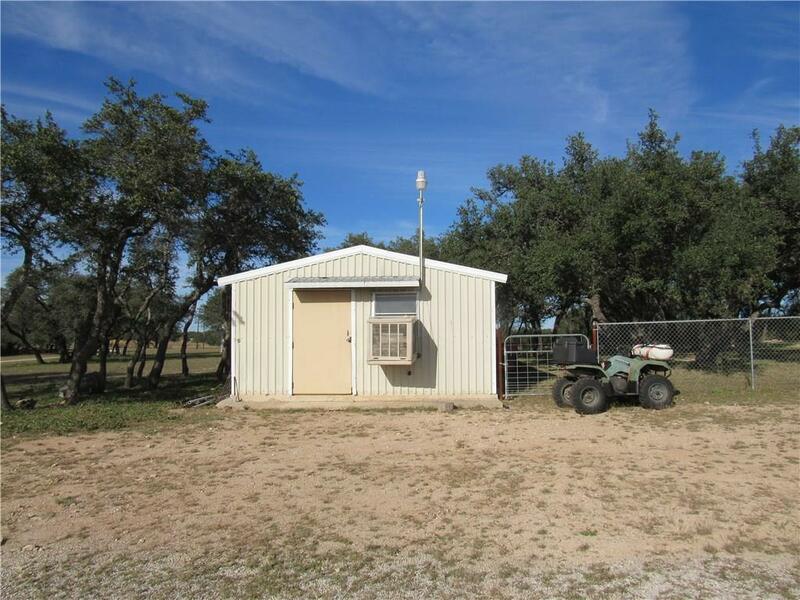 Nice 816 sq ft man cave-shop and metal barn with partial concrete floor and metal pens and stalls.